We recently had a customer who needed to replace an older Windows XP, Pentium 4 machine that was becoming unreliable, on which, it turns out, his entire reason for owning a computer depended. That is, he NEEDED Windows XP. The critical scanning and printing application, though available for Windows 7 and Vista, is so different, and ease of use so compromised, that the new machine just had to run XP. The older application for an HP C6280, just would not run on the later operating systems. 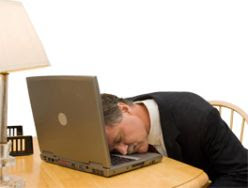 Now there may be other solutions to this problem, other applications that will do what this person wants, but the prospect of having to learn an entirely new program with a new workflow was so daunting, that it was out of the question, if any other possibility presented itself. Sure, there are "gently" used machines out there running XP that would serve, but we are looking for the long-term reliability of a new system with the power of a modern quad core processor, something that will age well and offer good performance down the road. Luckily, Dell is still offering such systems with Windows XP, although apparently only the 64 bit version, which for our purposes is OK, since our application does run on the 64 bit XP. Tiger Direct is also offering a number of XP Pro systems from a few hundred dollars refurbished, or off-lease, to new HP systems. With the Dell, you do have to pay for Windows 7 Professional 64 bit, and you do pay $120 extra for the privilege of downgrading to Windows XP, BUT, you do get a completely XP compatible machine, with all drivers and updates, with full Dell support, and with the XP operating system fully loaded, and the possibility of ordering a factory extended warranty. So if you need it, you CAN get it. For how long this will be true, I do not know. 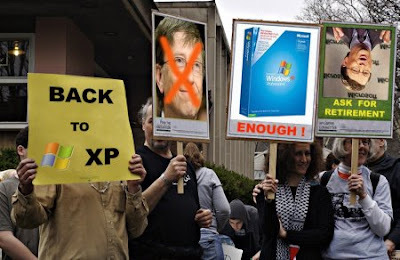 From a support standpoint, Microsoft says "Mainstream Support" for XP ended April 14, 2009, so that's already gone, and from a security patch standpoint Microsoft says support will end April 8 2014. So for all of us who have XP systems, or need them, sometime soon my be the time to get one. At least we will have security protection for the OS itself for 4 more years. And we may not be able to buy a new, warranted machine for windows XP from a first-tier maker like Dell for much longer. So, all of you XP-dependent people, take note, it's just about last call for new XP systems, and you have 4 more years to figure out some alternative to your beloved printer application, or scanner app, or whatever, before you are orphaned by Microsoft.